While faith-based films may be heavily critiqued in the industry, these four masterpieces oriented around faith are both visually stunning, and philosophically challenging to the audience. Martin Scorsese’s “Silence” is probably the most well-known film on this list. 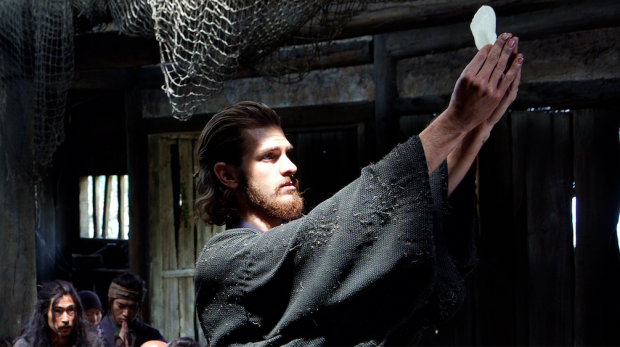 The film is an adaptation of the 1966 novel by Shūsaku Endō and follows the lives of two Jesuit priests as they attempt to locate their missing mentor and evangelize in seventeenth century Japan. “Silence” deals with the issues of Christian persecution and apostasy. In addition to the Christian storyline, there are multiple symbolic references to the Gospels. The film is heavy, challenging, and will almost definitely leave you examining the nature of your own faith. “Silence” also received an Oscar nomination for best cinematography. “The Innocents” is a 2016 film by director Anne Fontaine. The film takes place immediately after WWII and follows a young doctor named Mathilde who attempts to help a convent of Polish nuns that have become pregnant after an invasion by German soldiers. Mathilde is a non-believer who, through this controversy, sees two sides of the Christian faith. “The Innocents” is also interesting in that it can rightly be called a Christian feminist film. This film tells a unique story while carrying out a redemptive end. “The Innocents” is a great example of a Christian film that isn’t trying to manipulate its audience. “The Decalogue” is actually a 10 part mini-series by director Krzysztof Kieślowski. Each part is an hour-long and deals with a different moral dilemma related to the 10 Commandments. These films are a pinnacle in a Polish film movement known as, “The Cinema of Moral Anxiety.” The series is the exact opposite of pandering, in that it never tells you how to feel at the end. Each scenario is open-ended so that the viewer examines their own lives and comes to their own moral conclusions. I’ve never seen anything like this before, and very few films live up to the legacy of this series. The Decalogue is also apart of the Vatican Film List. Another series of films by director Krzysztof Kieślowski, “Three Colors” are the least overtly Christian films on the list, but they deal with very obvious Christian themes. Blue deals with loss as a young widow attempts to finish writing a symphony based on 1 Corinthians, White is a comedy that deals with forgiveness in the face of infidelity, and Red deals with the themes of omniscience, and the connections we have to the people around us. Calvin Welch is a staff writer for The Daily Runner. March 9, 2018 Natalia Mittelstadt Comments Off on RU Dancin’?